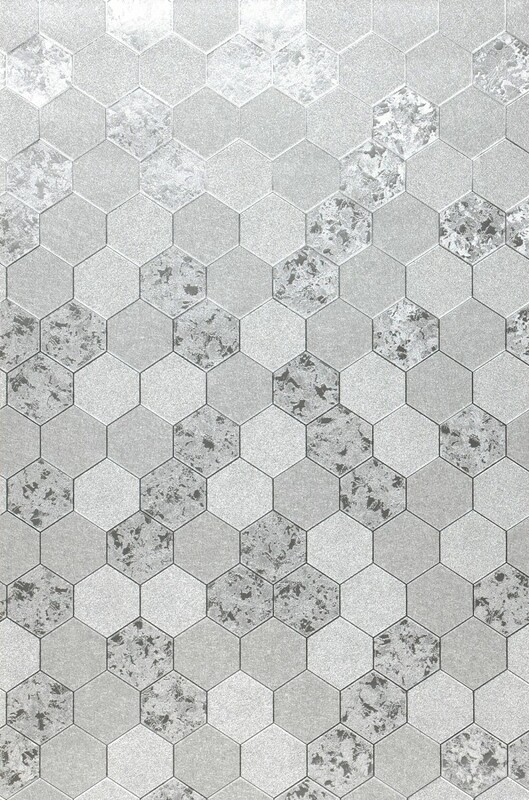 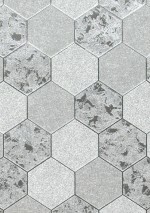 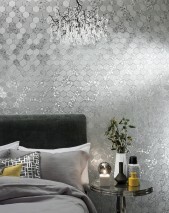 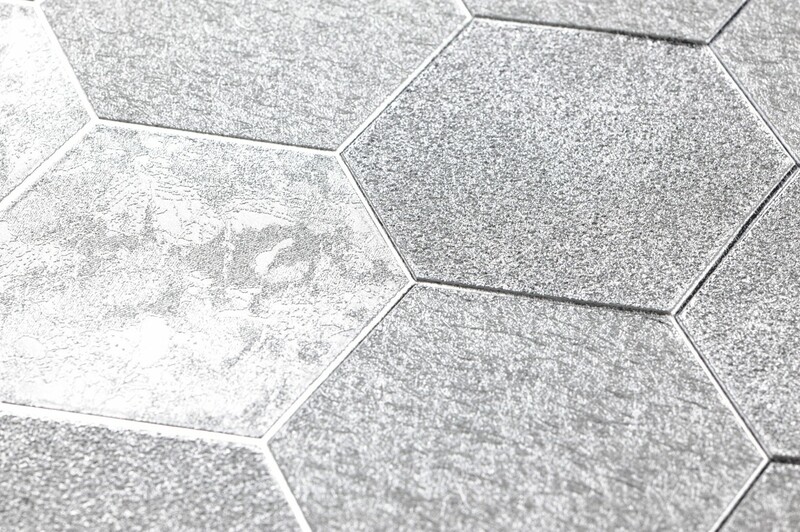 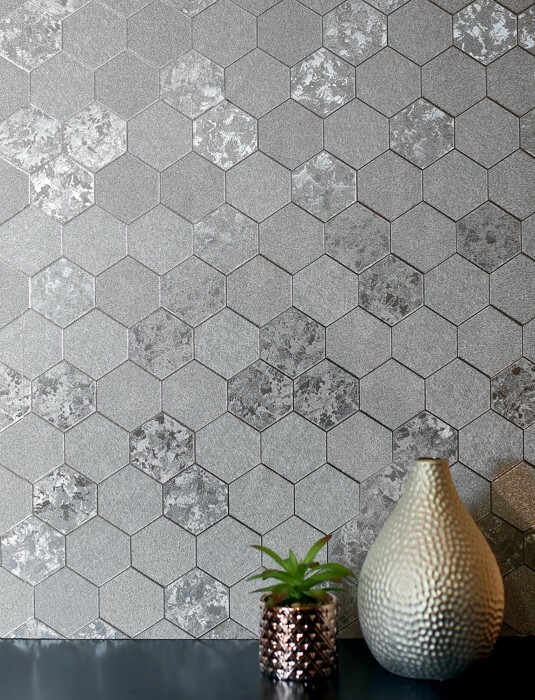 A space-age silver shimmer characterises this design wallpaper in a metallic look. 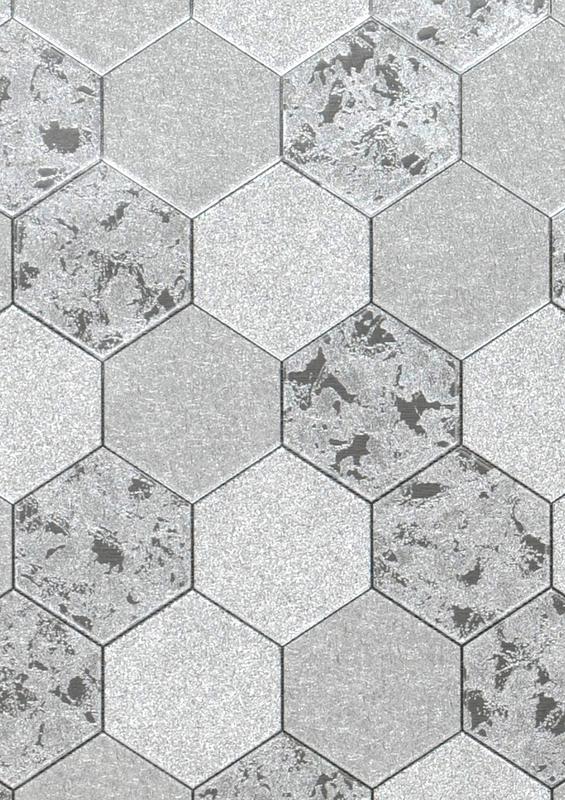 The clever interplay of structures of the seemingly homogeneous pattern means that it constantly reinvents itself. 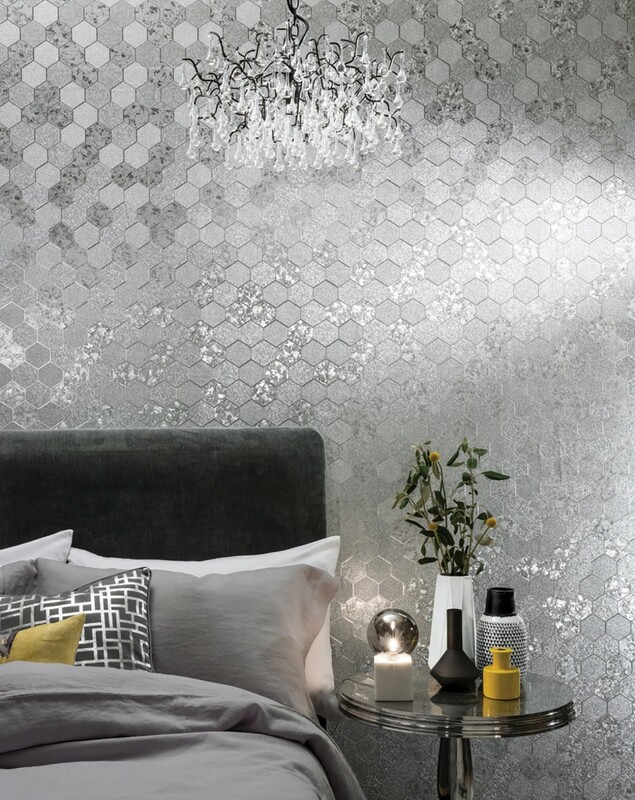 Futuristic living spaces, stylish sales-rooms, themed event- or gastronomy-locations all benefit hugely from this easy-care vinyl wallpaper.